Performing over 120 shows per year throughout the country, Kristin Rebecca wins over audiences with her dynamic, multi-faceted approach to pop and Americana influenced contemporary folk music. 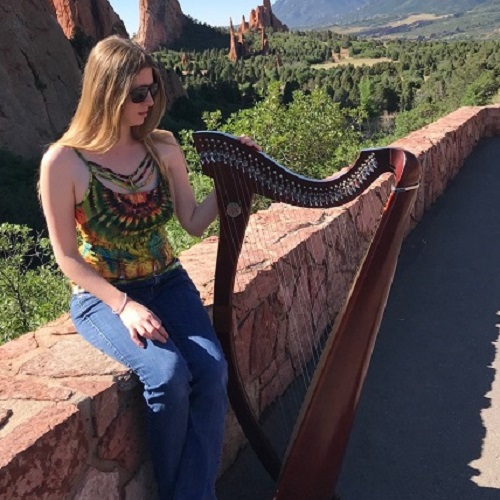 While visiting a relative in Minnesota when she was 15, she walked into one of the few music stores that sell authentic Celtic harps. “Intrigued, I walked over, plucked one string and immediately said, ‘I want to play that!’” Kristin says. “I was fascinated by everything from the look to the sound that emerged when I touched it. “I have found from playing thousands of shows around the country that people really enjoy contemporary folk music,” she says, “and it’s gratifying to know that the idea of the storytelling artist like my heroes Joan Baez, Joni Mitchell and John Denver is still alive and well and appreciated.